When I went to visit Eastman Instruments with Bennie Maupin, a wonderful surprise awaited. Bob Mintzer, saxophonist for the world renowned group, Yellowjackets, was blowing away on the newest model of an Eastman saxophone, The 52nd St. I had just seen Bob Mintzer play with the Yellowjackets at NJPAC in Newark, New Jersey back in November 2016. The group was the opening act for the GRP Reunion concert held in honor of the late co-founder Larry Rosen. Bob Mintzer is a jazz saxophonist, composer, arranger, and big band leader. He tours with the Yellowjackets and is on the faculty of USC’s music program. The Hollywood 360: First of all, I wanted to talk about the GRP Reunion concert at NJPAC in Newark, NJ. I attended that concert where you played with the Yellowjackets. Bob Mintzer: That night felt really natural. The molecules lined up that night. Something about the room, the intention of the concert, honoring the great Larry Rosen felt so good…the other band of Lee Ritenour, Dave Sanborn, Dave Grusin, Phil Perry…it was a wonderful night. The Hollywood 360: Talk a little bit about the history of the Yellowjackets. Bob Mintzer: The Yellowjackets are in their 37th year. I joined the band in 1990 so it is 27 years for me. This is remarkable to me. I don’t think I have done anything that long. It’s really a committed relationship that is all about the music and furthering the cause of improvised music. It’s got a real momentum and is such a joyous thing. The Hollywood 360: Describe the Yellowjackets music. I find it to be a wonderful combination of fusion and straight ahead jazz. Bob Mintzer: We’re not thinking about any kind of category or genre. We’re just thinking about how we relate musically that creates this vehicle for the conversation. The Hollywood 360: What is going on for the Yellowjackets right now? Bob Mintzer: We are touring. We go to Europe, Asia, and tour around the US. We’re playing all the time. The Hollywood 360: You also teach at USC in the music program. Bob Mintzer: I love it. I love sharing information and learning from the young people. The Hollywood 360: Please comment on the younger generation of musicians coming up the ranks. Bob Mintzer: There’s some incredibly talented people…there’s no shortage of talent out there. It’s not going away. The nature of the industry is changing but the art form is not going away. It’s changing, morphing, and extending. We need young people to be instigators and instigate playing situations that facilitate performance vehicles for these young people to show off their talent. 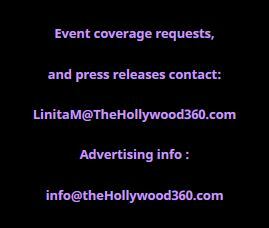 The Hollywood 360: Is there anything else you would like to say? Bob Mintzer: Music is such a special component of life. You have to be really sure in the United States that the arts and music don’t get swept under the carpet. Be vigilant right now. The current administration wants to do away with the NEA. That’s very shortsighted because the Arts and Music are a big part of brain power. Please go to Bob Mintzer’s website to find out more about what he is doing musically.